If Johnny Rotten's anger became his energy, Vile Assembly are using truth as their weapon of choice. The Liverpool band release their storming new single 'Last Century Man' on Friday April 5th, a blistering rallying cry against careerist politicans, corporate culture and the worldwide exploitation of those most vulnerable. The single takes an uncompromising aim at politics, religion and the establishment through raw and infectious Punk Rock, this is Vile Assembly at their most vitriolic, but when these masters of their craft express themselves, their artistic and musical talents are always at the forefront. 'Last Century Man' is infectiously melodic with huge guitars and a great hook underpinning Mason's unique and stirring vocals. Countercultre icon and vocalist with Dead KennedysJello Biafra famously told us "don't hate the media, become the media" a mission that Paul Mason, songwriter and vocalist with Vile Assembly understands better than most - the band have formed their own vehicle for creativity in the form of Vial Entertainment, a means to disrupt the status quo and interrupt the flow of mass indoctrination with a searing honesty designed to energise and unite. 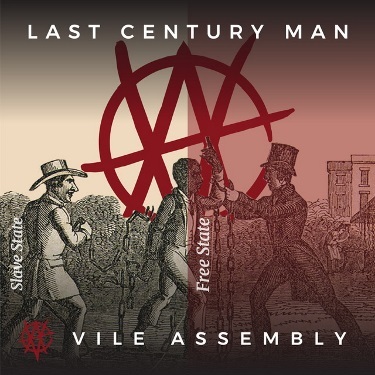 Vile Assembly are a band for our times, their message is progressive, positive and too loud to ignore! "When I heard Suicide Feast I absolutely had to play it, its musical intent you just can't fake"
"Great music, intelligent lyrics (in this case railing against corrupt politicians and corporate criminals), what's not to love"